CloudBerry is a document management software that provides file backup solutions. 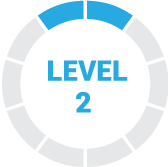 Its features include remote management, server protection, and hybrid backup among others. In this article, we cover user reviews and pricing. Ready to get started with CloudBerry? Visit their website. Users who gave CloudBerry a positive review like its straightforward interface and their efficient customer support team. They also commended its range of integrations that help with securing and backing up data across different cloud providers. As of the date this article was written (01/14/19), there are no negative reviews of CloudBerry online. If you are a past or current CloudBerry customer, leave a review to help others who are deciding whether or not to use the software. CloudBerry has a free plan and three paid subscription options: Windows PRO ($49.99 per month), Linux PRO ($29.99 per month), and Mac PRO ($29.99 per month). The main differences between the plans are operating system compatibility, storage limit, and support. 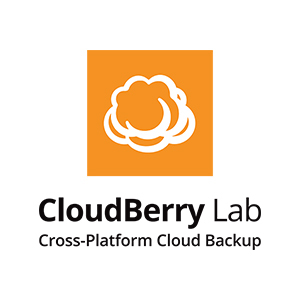 Ready to get started with CloudBerry? Visit their website. Best Document Management Software 2018 — When starting a small business, it is important to use a competent and reliable document management software to help keep your files organized and accessible. In this guide, we compared the three best document management software in terms of price, storage space, available features and ease of use. Yes. You can get up to 40% off if you buy multiple licenses per purchase. Can I use my CloudBerry license on multiple computers? No, you can’t. The CloudBerry license can be used only on one computer. If you wish to use CloudBerry on multiple systems, you have to purchase one license per computer unit. Not sure if CloudBerry is the right fit for you? Read our reviews of all top document management software providers or check out one of these three CloudBerry competitors. Easy to configure and then easy to see what is happening with each backup. Complete history so you can see what has been supported to give you peace of mind. Report when backups have problems. There is nothing negative to really say. It does what it promises to do. I suppose, if you had to be critical, then when you want to add another folder to the backup plan, you have to go through the wizard to modify the plan, therefore, a few clicks. The price can be a challenge, especially for cases where they are multiple users. If the price plan were applied to all users it would be affordable. I have not found anything negative that is worth reporting about this software. Whenever one is ready to go through the learning curve, the experience will be surprising thereafter. It is a good security method against files that are filtered by undesired access. This software allows you to upload your files as backup to the network in a secure way. There are times when the software will not respond due to network problems or automatic updates. However, our company feels more satisfied in terms of security. What we like most about CloudBerry at the moment of working is that we do not have to make much effort to be able to comply with our work because it does not have any complications at the time of being handled. The only thing that we consider an advantage is the storage capacity that CloudBerry currently has, as a company that requires saving data with large size could limit us in the future. It would have been important to know that there is a limitation when making backup copies, the most correct thing is that it was unlimited so that in case of a problem, the files are saved. 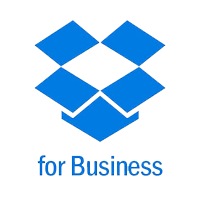 Excellent application that can help you in everything you need in terms of storage and with different functions, including that you can do backup. CloudBerry is an application that we have not found flaws, the only thing that has not convinced us at all has been its Linux GUI, we consider it scarce and unattractive. Nothing really CloudBerry has bothered us after having made use of it, is the one that has been able to adapt to our work system and vice versa.